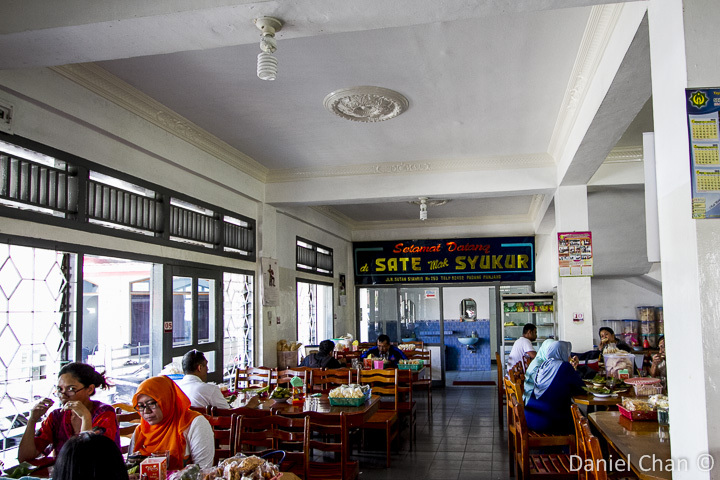 On our way back to Padang, Hendri told me to stop at this place for some Sate Syukur. He told me that everyone who comes to Padang, must eat Sate Syukur. 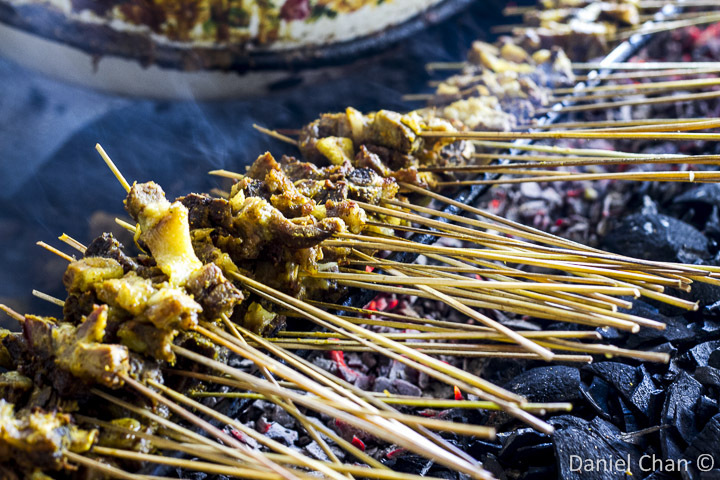 Satay Syukur is named after the owner of the shop. 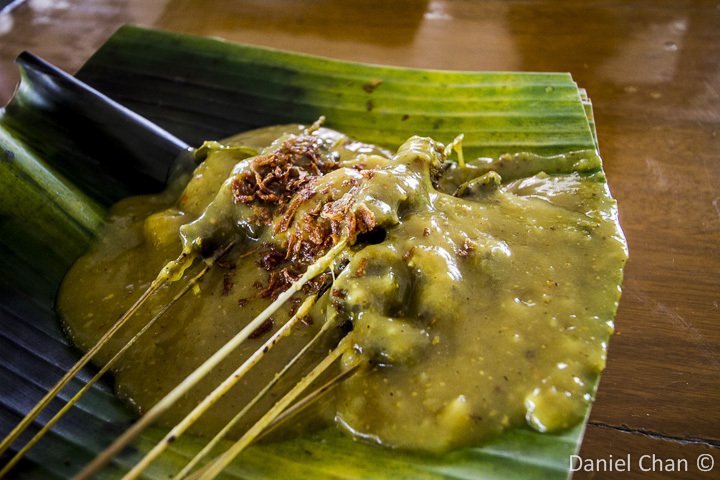 The satay is beef only ( sate sapi) and served on rice cakes. 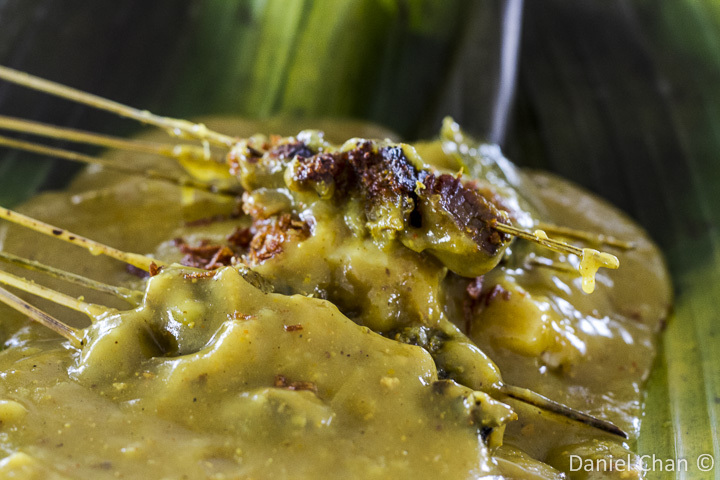 Sate Syukur pours the satay sauce onto the meat. The sauce taste of curry, potatoes and spices. It is a unique taste that one must try. 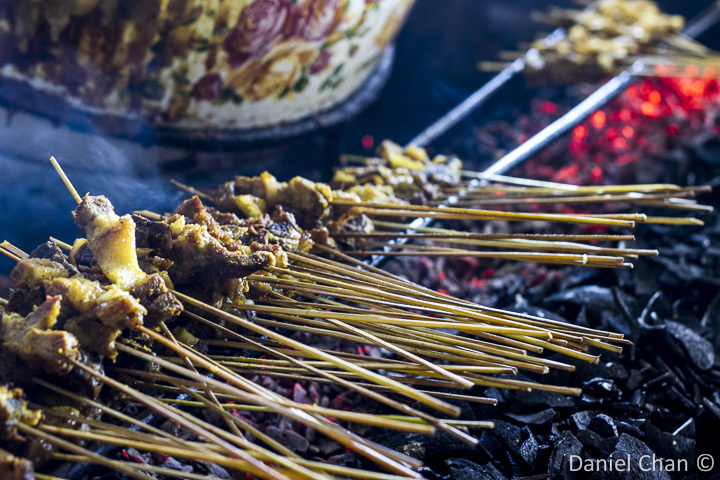 Satay is still cooked the old fashion way. Using charcoal, the meat is heated till it cooks. 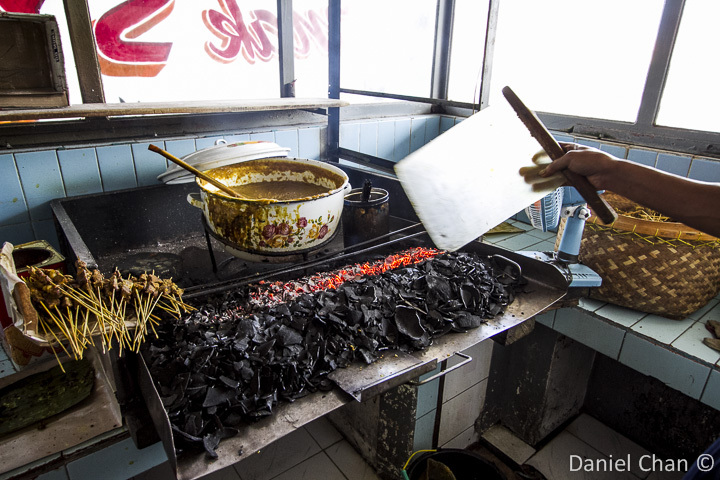 The aroma of beef meat cooking will tempt you if you are standing outside on the roads. 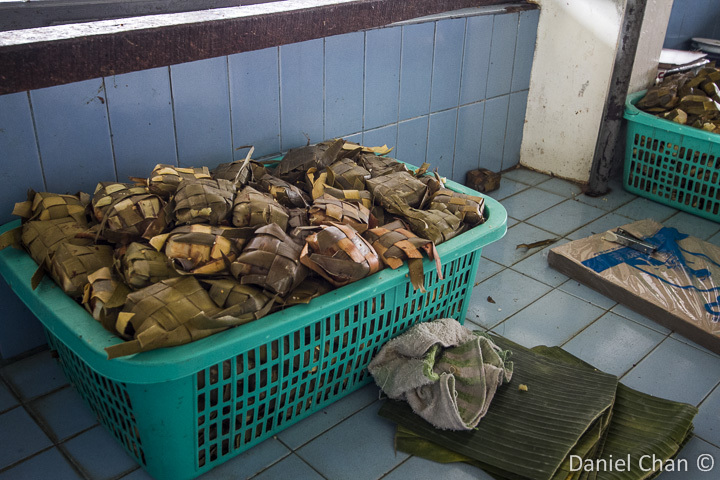 Rice cakes wrapped in banana leaf. 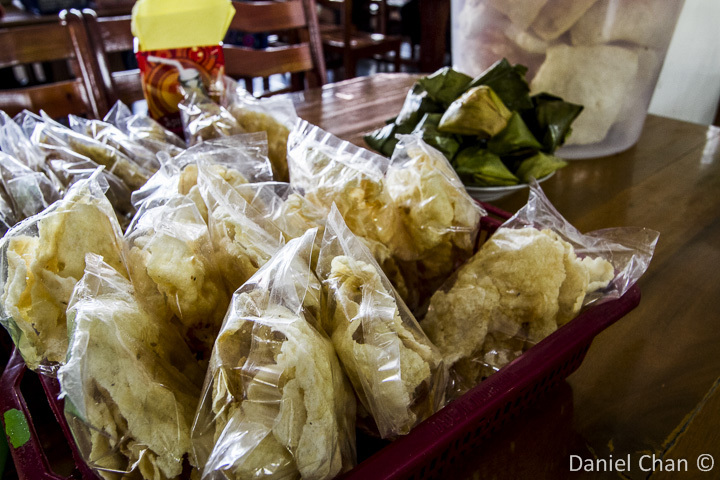 We call them ketupat. 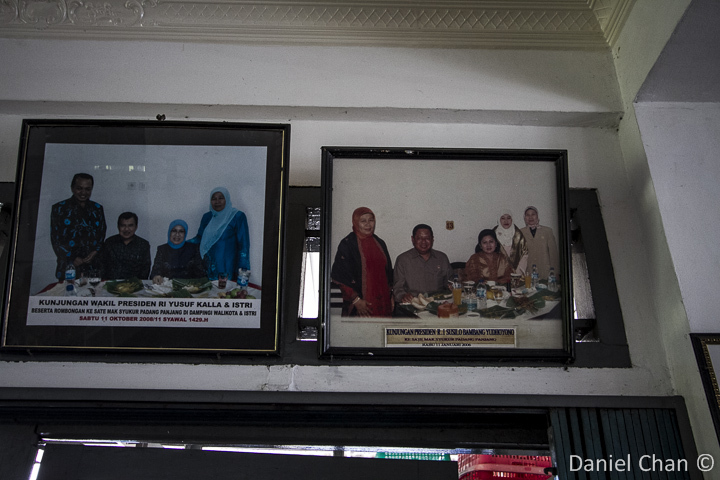 Presiden Susilo Bambang Yudhoyono stopped here for satay. 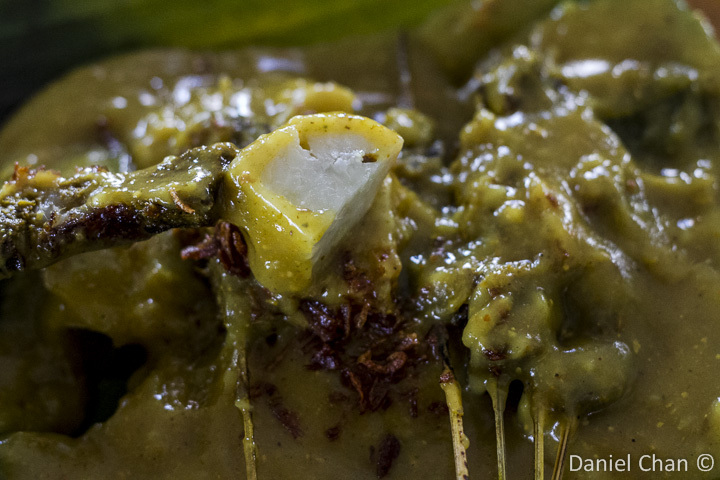 Sauce is poured onto the meat and served to you on a banana leaf. This truly is a mouth-watering meal. For 18,000 IDR a plate, it is a very good price for value. Hendri and I ate this slowly as we already had fried rice up in Bukittinggi. 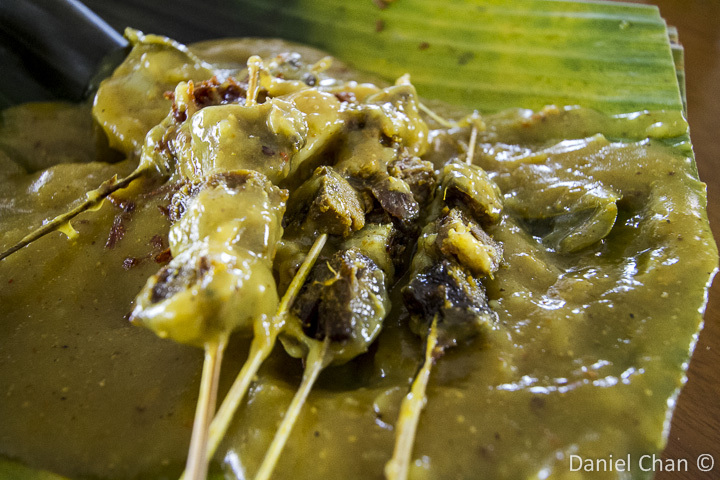 If you come thru here, stop by Padang Panjang on your way down and enjoy a plate of Sate Syukur. The sauce is not spicy but is strong with spice.